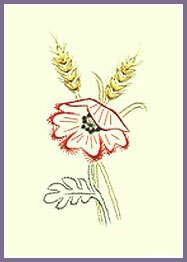 A Poppy with Ears of Golden Corn. Pencil the outline of the Corn Ears on the back of the pricking to make life easier! 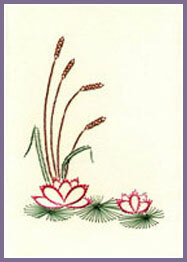 Waterlilies, Bulrushes and Lily Pads form an easy to do design.